Robert Simmons III is the chief executive officer of the Maya Angelou Schools and the See Forever Foundation. Throughout his career Robert has led community-organizing efforts to support urban schools and young people in the community. As a result of his work, Robert was recently recognized by Black Enterprise Magazine as BE Modern Man. This award recognizes 100 black male leaders across the United States bringing significant value and making extraordinary contributions to their communities, professions, the nation, and the world in their daily lives. Robert’s upcoming book, Interrupting the School to Prison Pipeline: African American Males as Critical Scholars and Intellectuals, is part autobiographical reflecting on his fathers’ incarceration while offering insights into the educational experiences of African American males. Management Executive Certificate Program at Georgetown University. Xiaoying (Emma) Chen joined See Forever and the Maya Angelou Public Charter Schools as an Accounting Associate in March 2015, where she supports payroll and accounting activities for SFF and MAPCS. Prior to joining the organization, Emma served as staff accountant of Ariix LLC which is a nutritional supplements company in Bountiful, Utah since 2013. Emma earned her Master of Science degree in Accountancy from the University of Colorado in 2012. She received her undergraduate degreeÂ from Shanghai Normal University with a major in Construction Management in 2008. Robin Crawford currently serves as a Data Systems Specialist/ PowerSchool Administrator. Born and raised in NE Washington DC. Robin Crawford attended Richardson Elementary School (Arts & Technology), Evans Junior High School (Maya Angelou PCS) and HD Woodson Senior High School. After High School, she attended Computer Learning Center in Springfield, VA in 1982. Upon graduation, she went to work at American University. After years of working in the computer industry Crawford decided to make a career change and got into the world of Finance working for companies; The Special Olympics, WMATA, The State Department, The Department of Commerce and others. In 2004, she joined Friendship Public Charter Schools as a Registrar. After working for FPCS she went to work for Center City PCS as a Student Information Systems Specialist. After two years with CCPCS, she left to join the See Forever Foundation/MAPCS. Jahleezah serves as the Office Manager for the See Forever Foundation. She is responsible for the overall management of the office and providing staff support for the central office, the High School, Young Adult Learning Center, and The Academy. Jahleezah is also directly responsible for maintaining the Chief Executive Officer’s calendar. Originally from Newport, RI, Jahleeza grew up in Berkeley/Oakland, CA. She Graduated from UC-Berkeley with a Bachelor’s degree in Afro-American Studies, attended the African Studies graduate program at Howard University, and is presently enrolled in the School Counseling program at Trinity Washington University. Jahleezah enjoys live music, coffee shops, art, culture, reading, dancing, and going to the beach. She has a passion for jewelry making and has necklaces in various countries. 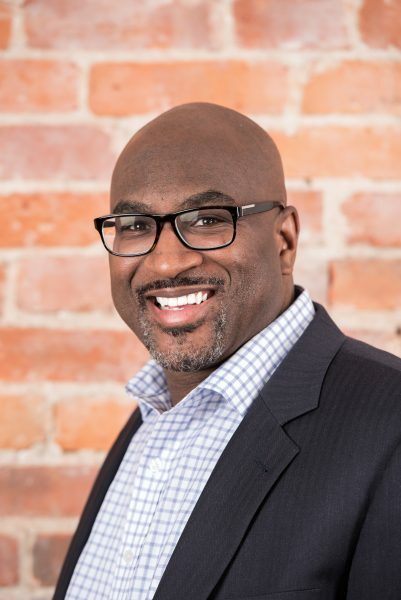 Charles (Chuck) Jackson is the newly appointed Chief Operating Officer of the Maya Angelou Schools and the See Forever Foundation. Mr. Jackson has more than a dozen years of significant experience bridging school operations and academic programming, managing budgets, building systems and processes to support the work of educators and the students they serve. Prior to his appointment as COO, Mr. Jackson was the Chief Performance Officer at the Department of Public Works, Deputy Chief of Operations at District of Columbia Public Schools, a senior administrator of a community organization that managed a charter school and multiple early childhood education centers, and he was the founding executive director of a charter school. Before finding his calling in education, Mr. Jackson was a lawyer specializing in civil rights and employment law. He is a long-time DC resident, raising his three children in public charter and traditional public schools. He received his JD from Northeastern University School of Law in Boston and his BA from the University of Chicago. Leah Lamb currently serves as the Chief Development Officer for the See Forever Foundation and the Maya Angelou Public Charter Schools where she provides strategic direction and leadership for all fundraising, special events, marketing, and communications functions. She has over 20 years of nonprofit, management, resource development, and communications experience. She previously served as Chief Development Officer at the Boys & Girls Clubs of Greater Washington where she led the organization through its 125th-anniversary celebration. She has also worked as a Non-Profit Consultant, Senior Vice President of Resource Development for the United Way of New York City, and Director for Advancement for the New Jersey Historical Society. Leah currently serves on the Local Advisory Board of Clear Channel Communications and as a member of the board of the EnVest Fund. She is a Founding Member and former board Secretary for the VGAH Scholarship Fund, Founding Member & former Vice Chair of the Board of Trustees for the St. Matthew Community Development Corporation, and a member of the Board of Director for the Delta Torch Fund. Leah has been mentoring young women in various capacities for over 15 years, and she still keeps in contact with many of her “little sisters.” Leah is a Hampton University graduate with a Bachelor’s Degree in Speech Communications. For the past ten years, Adriana Rodriguez has supported the organization’s youth work by serving in a variety of staff roles. In her current role as Director of Data, Analysis, and Evaluation, she is responsible for building the infrastructure for data collection, analysis, and evaluation in support of achieving our organizational outcomes. Prior to this role, she spent six years supporting the charter campuses with their college and career readiness programs, as well as guiding services for graduates. Her other endeavors include working for five years at Raising Hispanic Academic Achievement, Inc, a non-profit in Montgomery County, Maryland and serving as volunteer and board member for Hispanics Against Child Abuse and Neglect, a non-profit organization serving Northern Virginia. She holds a Bachelors degree from American University. Julia’s passion for the mission of See Forever/Maya Angelou Schools began early on when she had the opportunity to intern at MAPCS High School the Summer of 2004. This experience opened her eyes to the challenges our students face but also all of the successes and triumphs they are capable of achieving. From an early age, she has known that working with young people, directly or indirectly, was something that she was meant to do. Since her internship at Maya, she has completed her Bachelor’s degree in Psychology from Cornell University. She has worked at Cornell’s Conference and Event Services and with Delta-T Group, a local staffing agency. These experiences have allowed her to develop her skills coordinating large and small projects, streamlining processes, and working with various stakeholders and populations. Julia made her way back to the Maya Family, first as the Office Manager, then in Finance and Operations at See Forever, and later became the Academic Operations Manager at MAPCS High School. She is now serving as the Director of Human Resources. Anne Schoolcraft serves as the Development Manager and Americorps VISTA Program Coordinator at the See Forever Foundation & Maya Angelou Schools. In this role, she supports all aspects of fundraising, communications, and volunteer/ partner engagement, with the end of goal of increasing supporters and advocates for the students and school community. Prior to joining the organization, Anne served as an Americorps VISTA member at Ashoka’s Youth Venture, where she supported youth social entrepreneurship and service learning opportunities at schools across the country. Prior to that, she served two terms as an Americorps member supporting the Ohio/ West Virginia Youth Leadership Association and YMCA Camp Horseshoe. With over fifteen years of experience working with disadvantaged youth, she has a passion for seeing that all youth have every opportunity to succeed and to become leaders in their communities. Anne holds a Bachelor of Arts in English Writing and Psychology from West Virginia Wesleyan College. Nora Shetty serves as Director of Performance Management for the See Forever Foundation and the Maya Angelou Public Charter Schools. She supports the schools’ efforts to measure the impact of their work with opportunity youth and serves as the voice of continuous improvement and organizational learning. Prior to this position, she supported the organization as the School Data Manager and Evaluation Specialist. Nora brings more than 10 years of research and evaluation experience to her position garnered in diverse fields including museums, continuing professional education, international development, and humanitarian emergency programming. She holds a Bachelors of Science from University of Pittsburgh and a Masters in Education from George Washington University. Michael Walker is the Director of Education and Career Programming with the Maya Angelou Schools and See Forever Foundation. Michael’s primary areas of responsibility are supporting the organization’s college, career and workforce readiness programs and establishing and maintaining the organizational partnerships that provide resources and opportunities for our students and alumni. His previous positions include Technology Director and Dean of Students during his first stint with the Maya Angelou & See Forever, Behavior Coach with DCPS and Academic Coordinator with federally funded TRIO Upward Bound programs at both the University of Maryland College Park and Prince George’s Community College. Michael received his undergraduate degree from the University of Maryland with a double major in Criminal Justice and African-American Studies in 1997 and his Master’s in Educational Administration from Trinity University in Washington, DC in 2006. Kamal Wright-Cunningham has almost twenty years of experience working with at-risk adolescents in underserved communities in Boston, New York City, and the Washington, DC metro area. Kamal has served as a mental health clinician, program developer, researcher and school administrator. A large part of his work has focused on the intersection between the impact of untreated trauma, externalizing behaviors and resilience. More specifically, his work has primarily been in the service of students and families who have been traditionally underserved. Additionally, he has participated in the restructuring of schools, developed and administered programs in schools, and provided direct clinical services to students and families. Early in his career, Kamal’s work was primarily in working with at-risk adolescents who had a history of adjudication. This work included providing individual and group counseling support to adolescents residing in group homes and non-secure detention facilities. Additionally, Kamal was instrumental in providing individual and familial clinical intervention to survivors of sexual trauma at Prince George’s Hospital Center in Cheverly, Maryland. Kamal was the first and only male to work at the Sexual Assault Center at PG Hospital Center and found this work especially rewarding because of the lack of therapeutic support traditionally available for male survivors of sexual trauma. Most recently, Kamal serves as the Director of Social Emotional Learning and Culture for the Maya Angelou Schools. With this most recent post, Kamal is responsible for the delivery of clinical services, residential programming and wrap-a-round supports for all students within the Maya Angelou Schools’ network. Kamal leads a dynamic team of mental health clinicians, residential counselors and case managers who are committed to creating a model for providing educational services for students who have not been successful in more traditional schools. Kamal holds the following degrees: Ph.D. in Mental Health Counseling and Human Development from George Washington University; M.S.Ed. in Counseling from Hunter College and a B.A. in Eastern Religion from Boston University. He is currently licensed in the District of Columbia and Maryland. Kamal is also a certified (children & adolescents) trauma specialist.